Rosemarie Lauria considers herself a savvy shopper… and she recently noticed something different about the six-pack of coke she buys. "The really small cans started out as a fat small can with 8 ounces and then they introduced a taller can," she said. "I looked at the ounces. It went from 8 ounces to 7.5." Consumer advocate Edgar Dworsky has been tracking the downsizing of products for 30 years. "Its not your imagination that you have to keep changing the toilet paper roll more frequently or make more trips back to the store to buy this stuff," he said. Dworsky's research has revealed that the shrinking of products comes in waves. "Manufacturers like to keep prices seemingly stable while increasing their bottom line," he said. "How do you do that? The only way you can is to shrink the product. 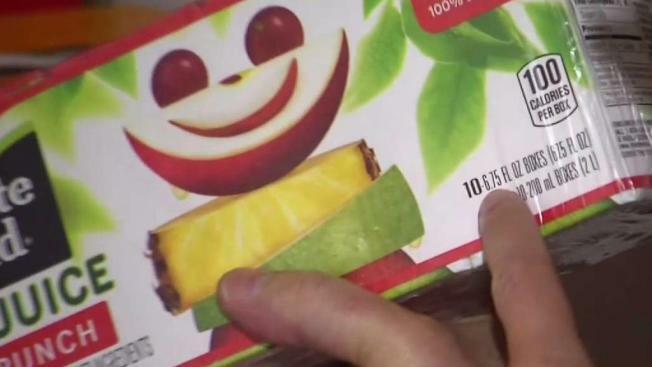 But when they do it deceptively where the package looks just like it always did but they are giving you less, that's a sneaky way to pass on a price increase." On a recent shopping trip, Dworsky found new and old versions of the same products sitting on the shelf together and priced the same. Two $13.99 containers of Maxwell House coffee, one with more than 30 ounces and the newer addition with only 26.8. "What does that translate into cups? We've lost 30 cups! We went from 240 cups in a container down to 210 cups," he said. Two 12-packs of Ultra Charmin priced at $13.29 are about the same size, but one has 154 sheets per roll and the other has 142. "So you lost a dozen. But on each of the rolls, you got 12 rolls. So you basically lost a whole roll in this package. But you can't tell because it looks the same," Dworsky said. And seemingly identical 2-packs of Crest toothpaste priced at $9.49. One has 5.1 ounce tubes another has 4.6 ounce tubes. "Same size box. You would have no idea," he said. "Looks exactly the same but you lost about ten percent in each tube. So unless you become net weight conscious and actually look at the package and memorize the net weight you'd never known you'd been taken." We reached out to the companies that make these products. Proctor and Gamble, the makers of Crest and Charmin tell us "there is a cost element to innovation...Adjusting the count per pack or the package size is one way of delivering this innovation, while maintaining a competitive price point....Pricing is at the sole discretion of the retailer." Coca-cola says “consumers have told us they love our smaller, more convenient packages. In North America, we’re seeing double digit growth in these sizes. The maker of Maxwell House said "the alternative to changing the price of any given product is to change the package size." • Be price AND weight conscious. Look and compare the price per ounce. • Look for sale items and use coupons.